After a deathly quiet week on the blog, a close, humid afternoon down at Haskayne Cutting was appropriately soporific today, with the rank vegetation bursting with Meadowsweet, Knapweeds, Thistles and Spearworts that drew in an army of bees and hoverflies, albeit fewer butterflies. 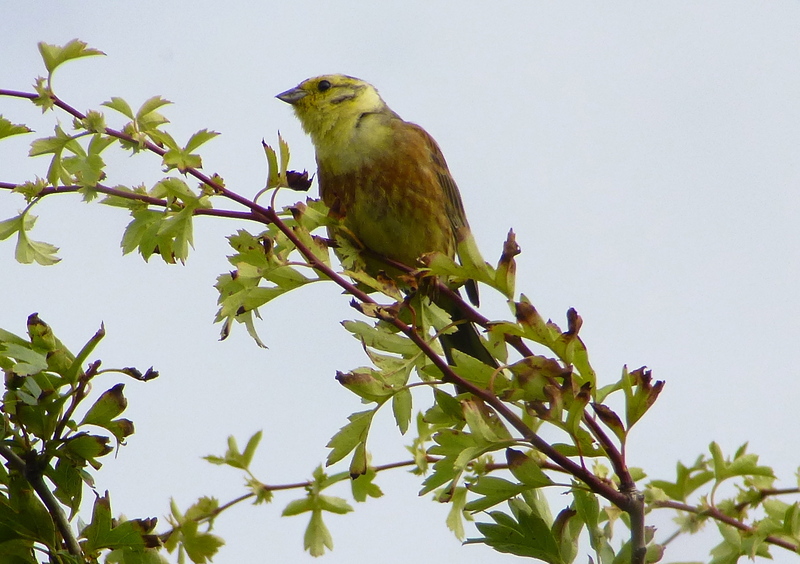 Personally I blame the urge for an afternoon snooze on the Yellowhammers – is there a drowsier song on the mosses these days? Time was it would have been the purring of Turtle Doves on a warm afternoon that’d get your head nodding, but that seems a long, long time ago now (the Breeding Bird Survey revealed a 91% drop in the population this week – which is just as depressing as some idiot dentist shooting lions). 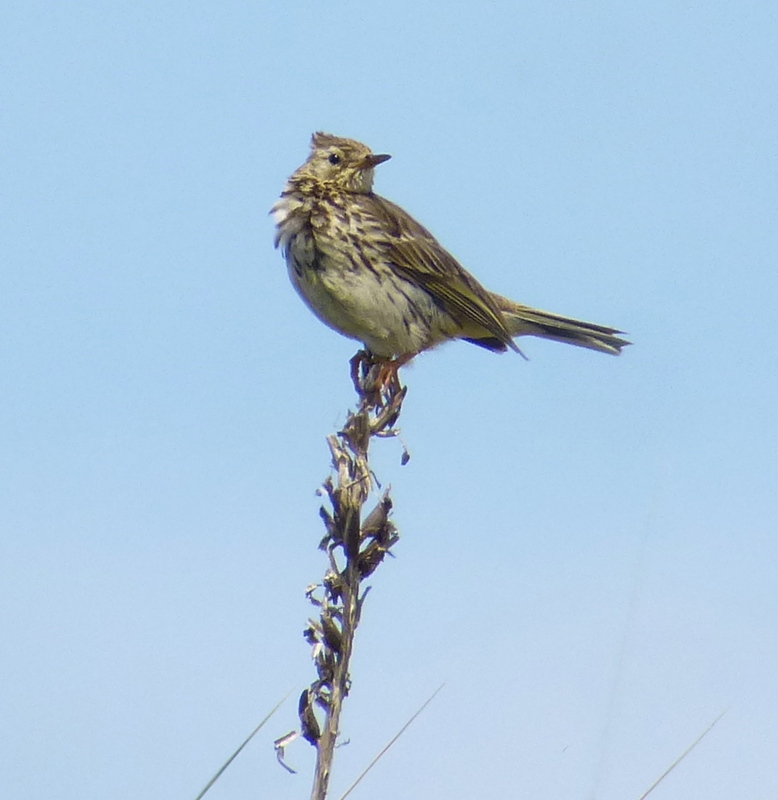 Plenty of young birds in the scrub today, from Whitethroats to Common Buzzard, and good numbers of hirundines zooming over the crops out on Plex with indecent haste for such a sleepy afternoon. The Corn Buntings seemed to lack the energy to put much effort into singing, but six males at least were still holding territory. A morning of prolonged rain seemed as good a time as any to pop over to Martin Mere to pick up a new ‘scope strap from In Focus today, although the south easterly wind direction suggested it mightn’t be a total loss. 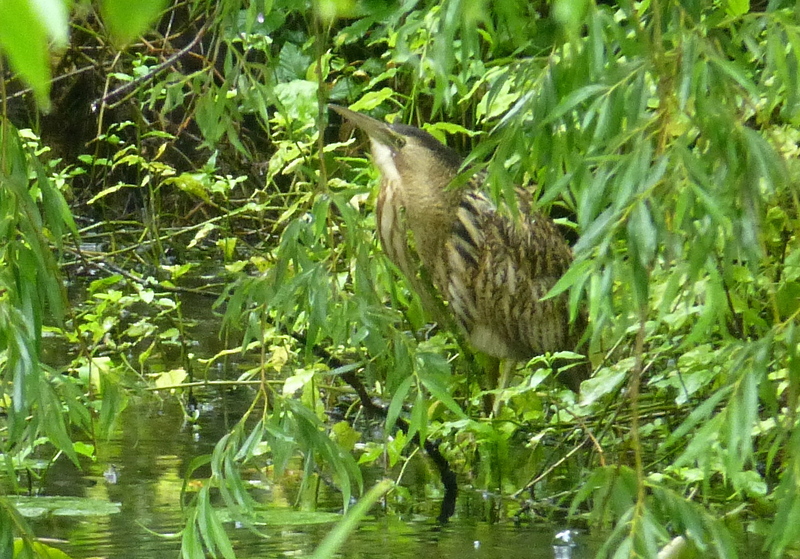 Wasn’t expecting a Bittern though! 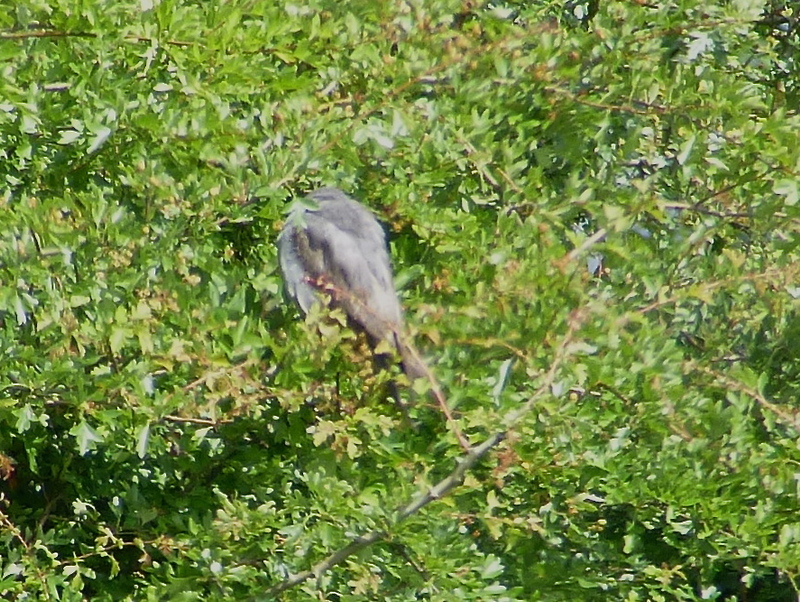 The bird was fishing amongst the lush overhanging vegetation around the “Kingfisher” pool, and showed very well from the ground floor of the Ronnie Barker Hide, although it had gone out of sight for an hour or so after being first found earlier in the day. 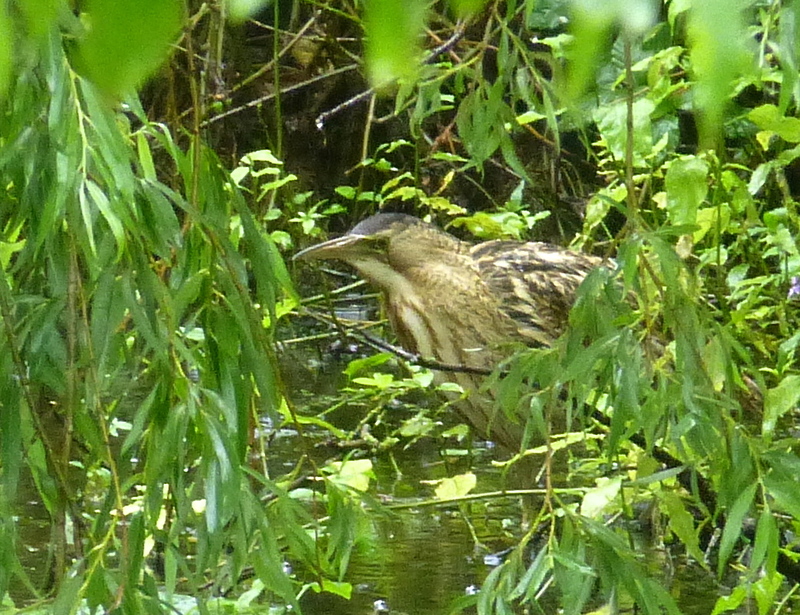 Hard to digiscope because of all the vegetation, the Bittern caught fish fry a few times and what looked like a frog, but it was down its gullet before you could say Botaurus Stellaris…a fine soggy carpet bag for a fine soggy Sunday. 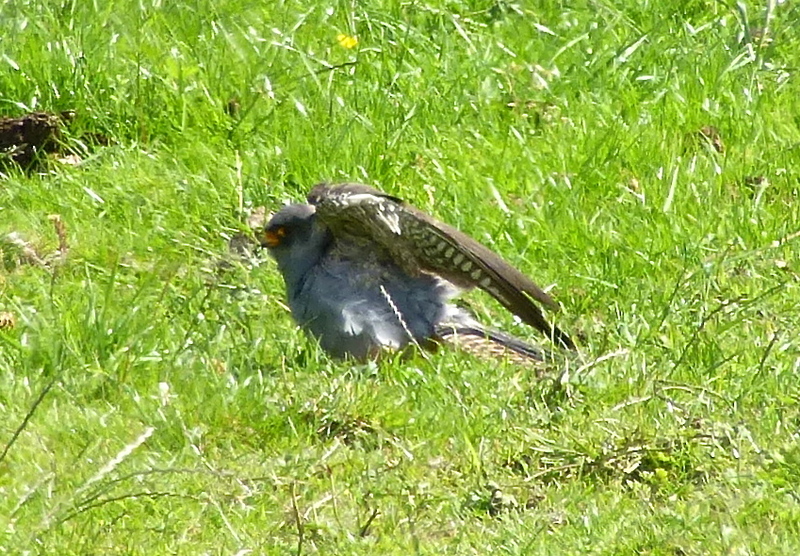 Two Green Sandpipers, with Ruff, Blackwit and Snipe from the Ronnie Barker hide too, and a juvenile Cuckoo which was being battered by hirundines over the water before it sheltered in a line of willows and scrub. Walked round in the rain to the United Utilities hide after that lot in the hope of picking up the Wood Sand there. The bird took some digging out, and I eventually got it in my ‘scope right at the back of the marsh feeding close to Common Sandpipers and Little Ringed Plovers. Pity it was so far off – always good to see a Wood Sandpiper. 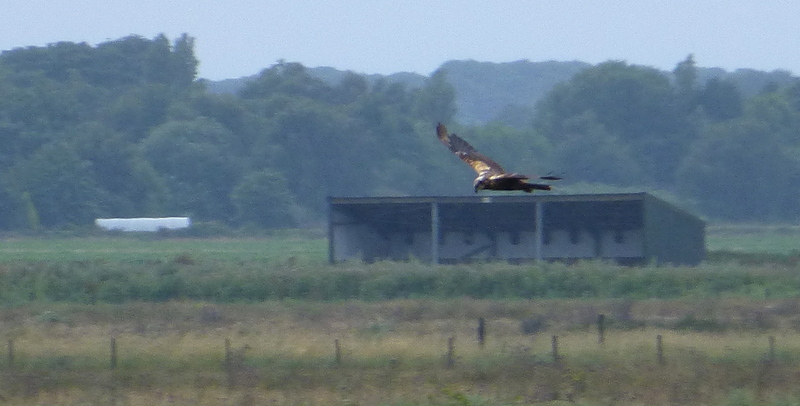 While I was looking for the sandpiper, this weird young Marsh Harrier came floating by – really orange on the shoulders, with a bleached blonde chest. 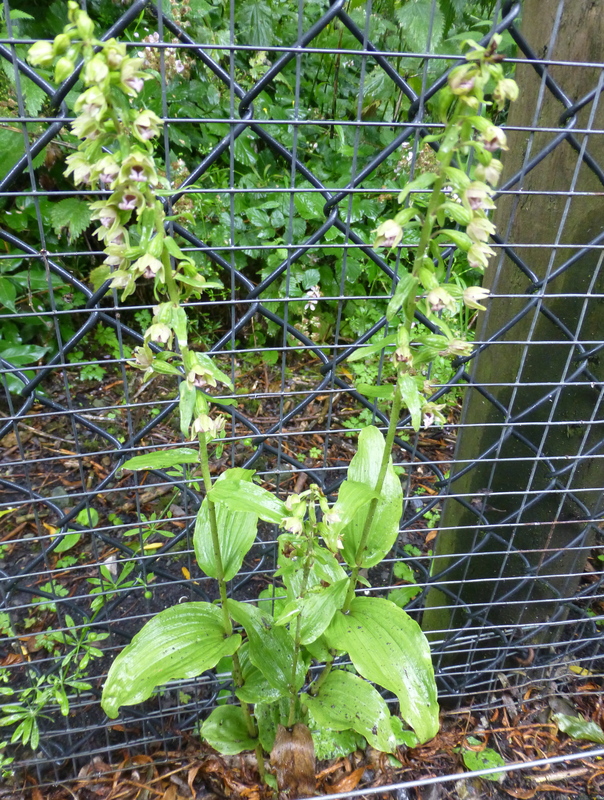 Not bad for a soggy Sunday plus a botanical bonus in flowering Broad Leaved Helleborine by the path down towards the Janet Kear and UU hides too…. 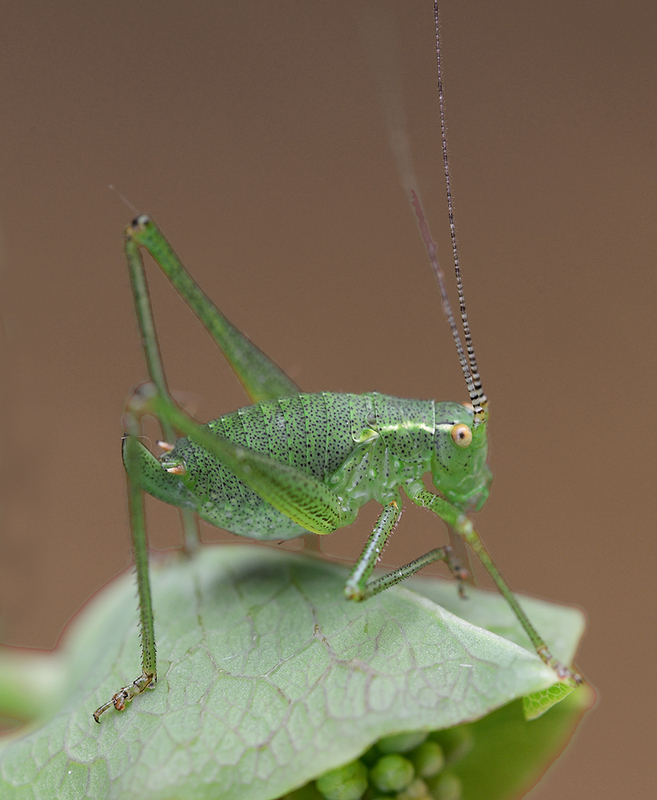 My first Speckled Bush Cricket – a superb find by Trevor Davenport in his garden at Freshfield this week (and an equally superb photograph too Trevor, thanks for letting me use it). Trevor kindly showed me this first for our part of the world yesterday…it brought back fond memories of the Oak Bush Cricket I found at Dempsey Towers back in 2010 (aw c’mon, it is July). I love the way their antennae move out of sync…. I think I have a soft spot for the orthoptera (as grown-ups call grasshoppers and crickets) – who remembers the Roesel’s Bush Crickets partying down on Beacon Lane over at Spurn??? Thanks to Phil Smith for sending me this current distribution map for Speckled Bush Cricket in the UK too – I think a new dot should be going on it soon! Okay, so July is a quietish time, but you can’t beat a new bush cricket. I was down at Lunt Meadows this morning at the mesolithic dig site with archaeology-meister Ron Cowell. It was mind-melting looking back 8,000 years across the juncus and pools, as I held bits of flint the hunter-gatherers cut with, and shards of the roasted shells of the hazelnuts they ate, while a female Marsh Harrier was quartering about around us. Many thanks for the window into the past Ron. 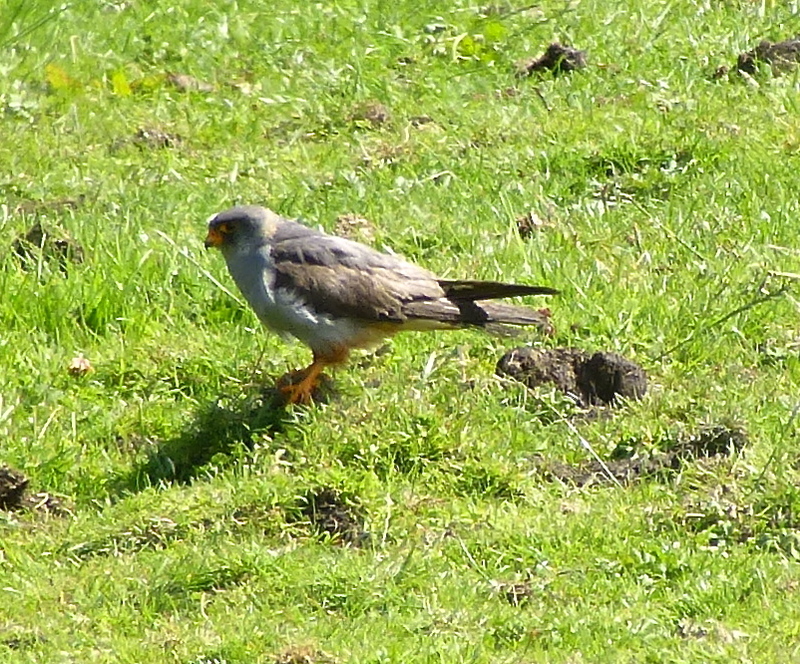 Emperor dragonflies, Common Darter and Black Tailed Skimmers, and while a family of five Kestrels were wheeling and hovering, Hobby was conspicuous by its absence. Good numbers of Swifts feeding above the site. 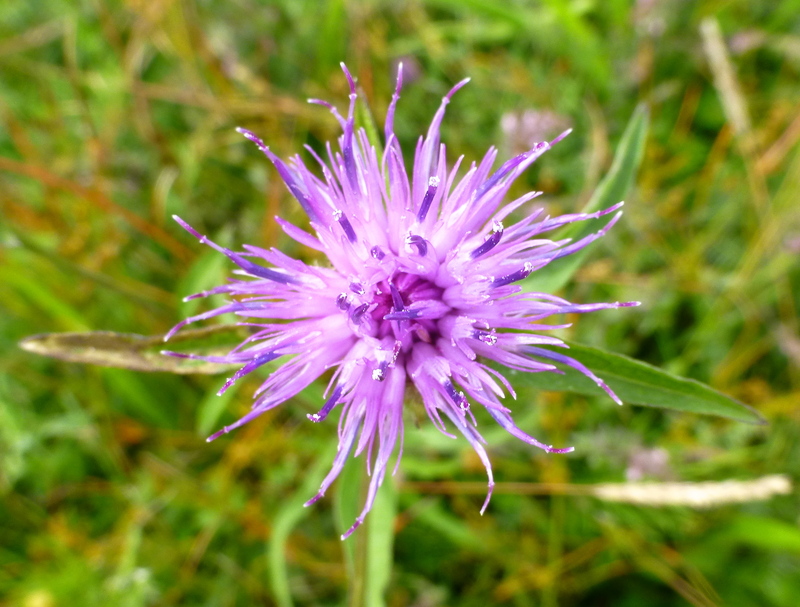 The thistles and ragworts were dripping with Gatekeepers, Meadow Browns and bees. Later in the afternoon the light was perfect for a seawatch inbetween the rains at Ainsdale, but the tide barely scratched 7.8 metres, with only Gannets and local tern traffic drifting by, and Grey Seals chilling in the shallows. About 100 Common Scoters loafing way too far out to work with. An audience with the Chatterley Whitfield Worminator. 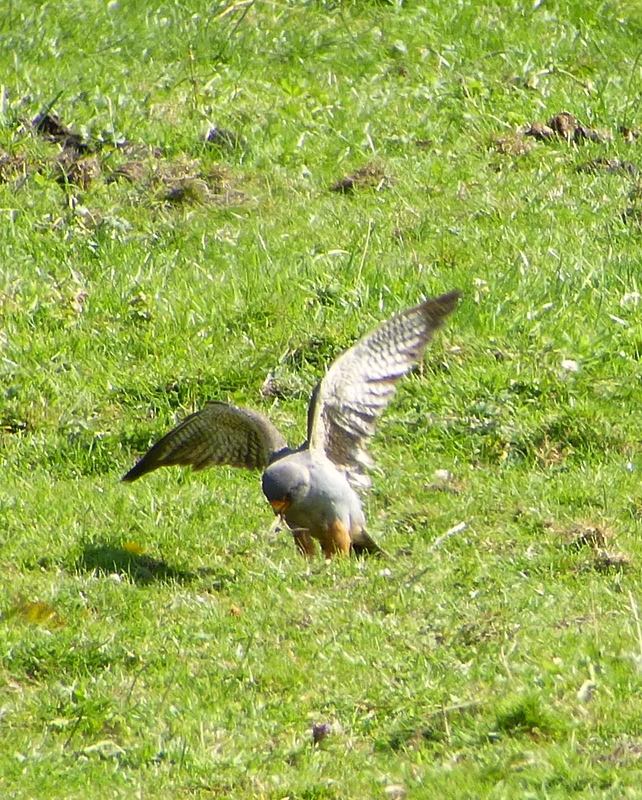 Having collected Neill at a reasonably civilised hour this morning I careened down the M6 to Chatterley Whitfield in Staffordshire to have a squint at the young Red Footed Falcon, lured by tales of the close encounters many birders have had with the falcon, and the fact that the last time I clapped eyes on a Red Foot it was so long ago smoking was still cool and social media hadn’t been invented. 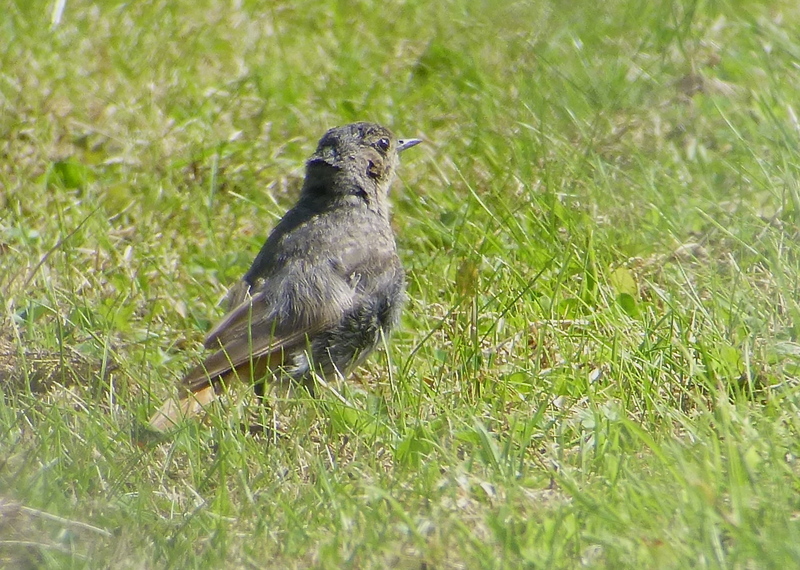 This was okay, as it gave us time to have a look at the young Black Redstart through the fence at the old colliery entrance, while the falcon sorted itself out. 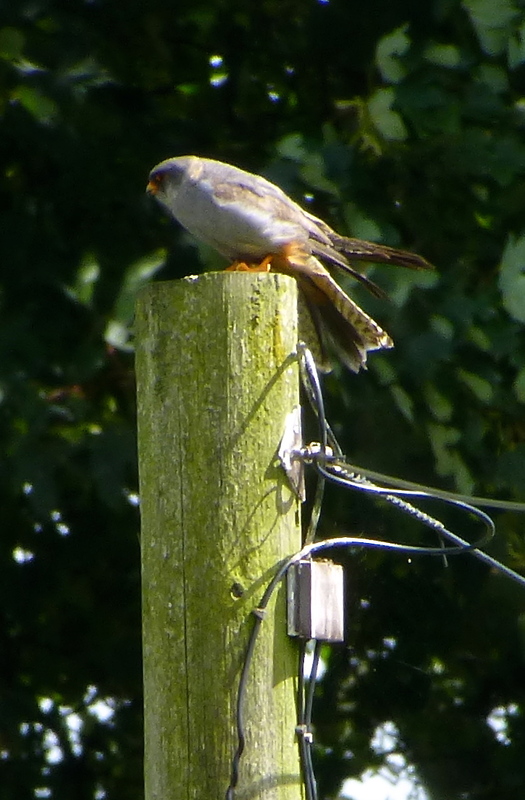 Whatever, it was pretty successful, scurrying about on short runs to catch its prey several times before flying up to a convenient old phone pole in the warming sun. Very nice indeed – splendid views of the thing. Then it shot back into the hawthorn for another sulk, so we headed out onto the reserve area and old spoil heaps to see if any butterflies were on the wing – the site is a stronghold of Dingy Skipper and although it is past that species’ flight season now, I thought it was worth a punt as everything is so late this year. Wished I taken a few shots of the old mine buildings – you see ’em so rarely now, but I can’t be expected to remember everything. Paused on the way back to the wheels for another look at the Red Foot, but it was still having a hissy fit in the hawthorn, so we trundled back north for a sunny Sunday cold beer afternoon. Just as it should be. Before the beer started flowing (well, not that much before) for a certain 40th birthday celebration, I picked up Mr Thomason, Mr Stocker and Mr McCarthy,and we headed out to the Tobacco Dump for a seawatch over the high tide today. Mad gulls, loads of Common Scoter moving offshore, but only small numbers of terns and Manxies. 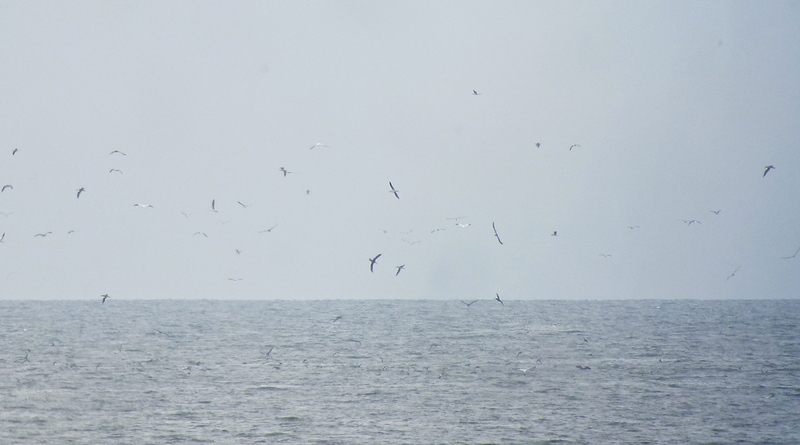 Both skuas were at eye-watering range today…well beyond the realms of i.d. as they chased unfortunate terns out on the horizon. 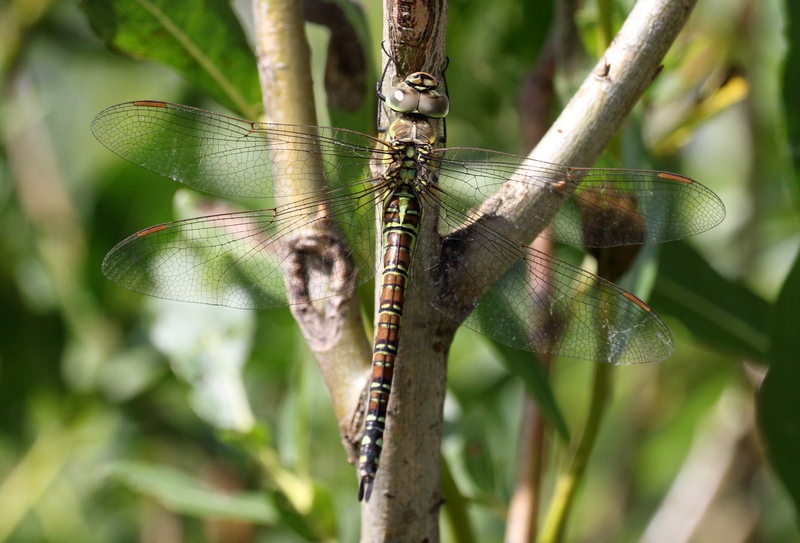 Many thanks to Chris Storey for allowing me to post these great pics of the Southern Migrant Hawker Chris found last week in the slacks north of Sands Lake at Ainsdale. 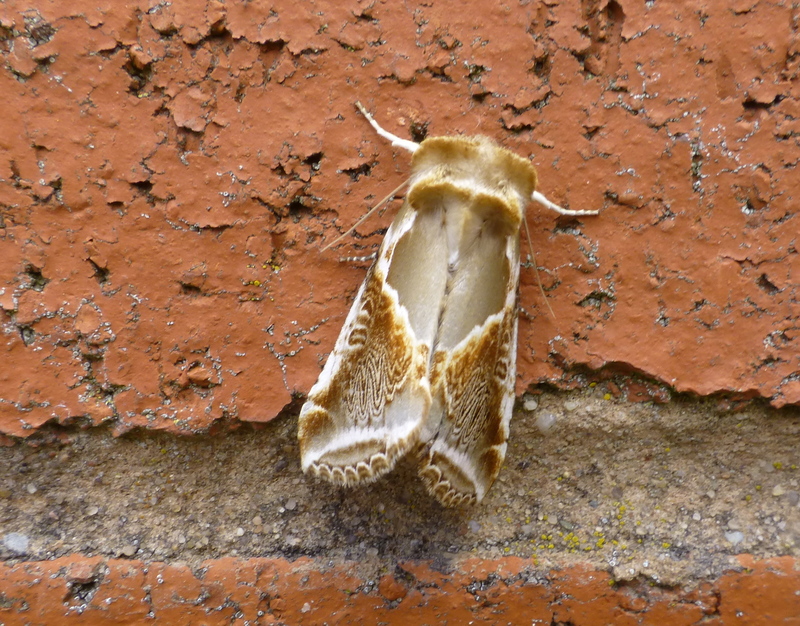 A female, it shows the characteristic fine lines on its light green sides in the following pic. 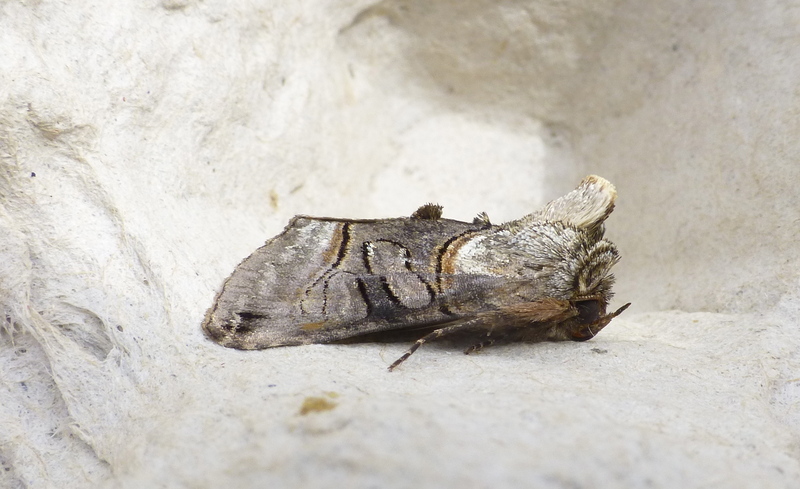 As the name suggests, a migrant from the continent, but sadly one that didn’t stick around. Based on grid refs supplied, Chris encountered this first for Lancashire by a sheltered line of willows at the north east side of Slack 48 – a five minute walk north of Sands Lake, past the area some idiot has set fire to recently. Thanks for sharing Chris – and again, well done! 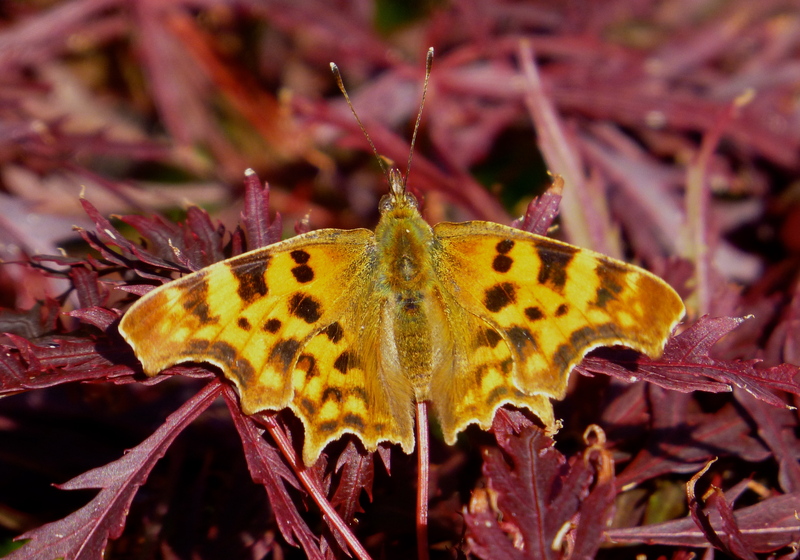 Not much else to remark upon today, which was desk-bound busy, although a few Manxies were offshore in the heat haze wibbly wobbly after high tide at Ainsdale, and fresh Commas and Small Tortoiseshells have started putting in an appearance at Dempsey Towers. 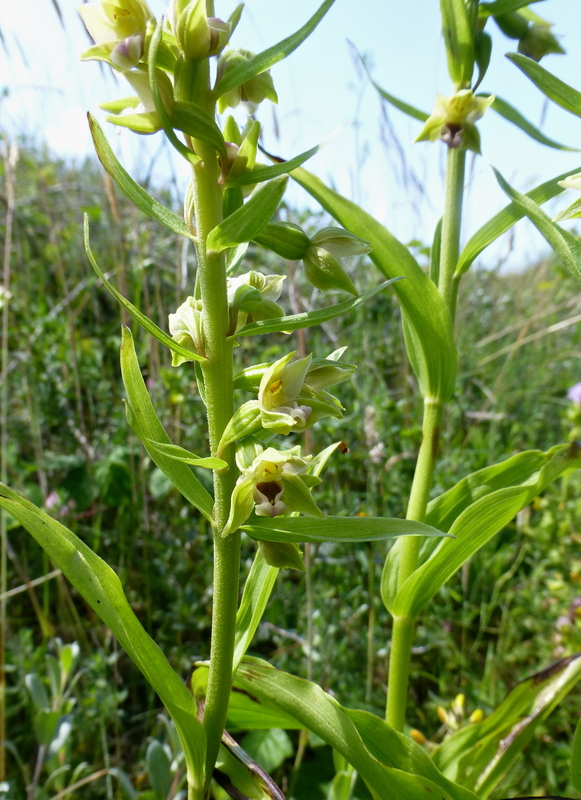 Leading a “Tomorrow Tick” walk out to marvel at flowering Dune Helleborine at 12.30pm, er, tomorrow, if anyone fancies it. Meet at Ainsdale Discovery Centre (PR8 2QB), no fee, walk lasts about one hour. 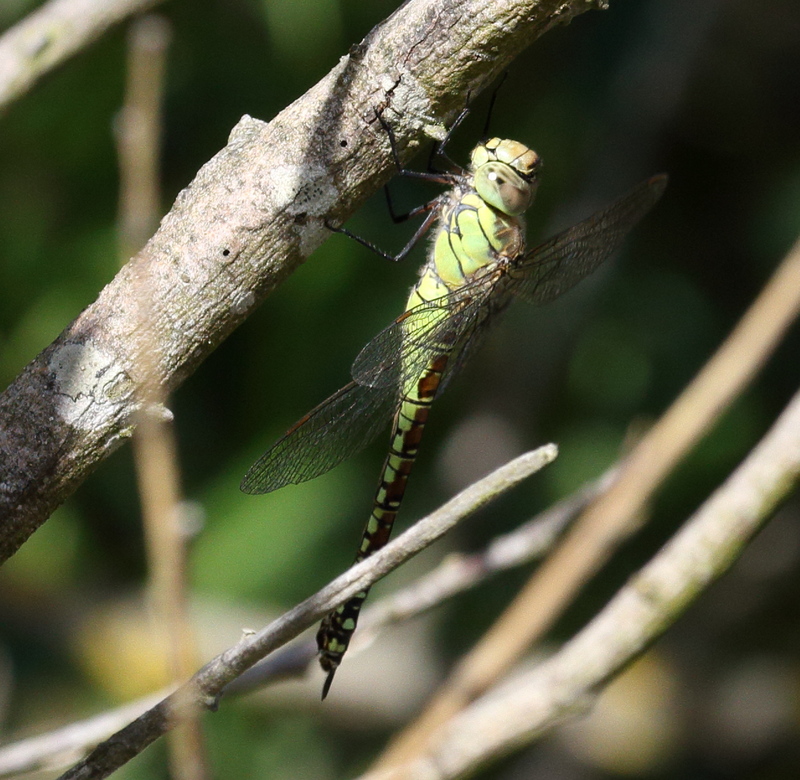 Inevitably headed down into the dunes north of Sands Lake today as soon as the sun began to break through, in search of the female Southern Migrant Hawker found by Chris S (see comment on previous entry) – a truly remarkable record, the first for Lancs I think. An incredible find – thanks for the heads up Chris – your picture is stunning by the way – can I use it on the blog? A bit breezy nonetheless this afternoon, and after meeting up with Phil Smith, we followed Chris’s grid references to Slack 48, before pushing on to “Dragonfly Central” on Sefton coast, Slack 47. Sadly no sign of the Southern Migrant Hawker, although we did manage seven species, including Emperors, Four Spot Chasers, Common Darter, Lestes and other usual damsels. 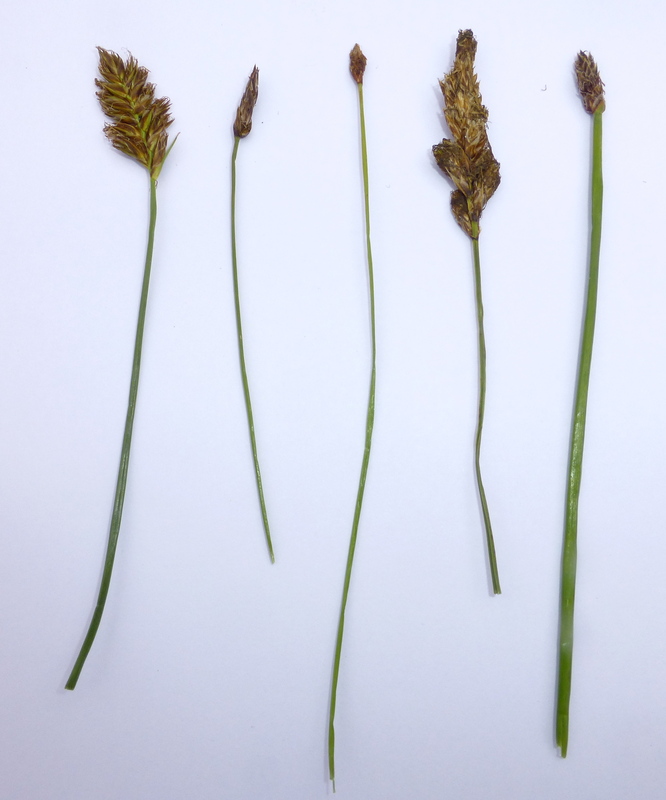 With the dragons failing to deliver, Phil took me back to school on the grasses and sedges (mercifully he went easy on me when it came to the hybrid willows) – making for an inspiring afternoon – Brown Sedge, Flat Sedge and Slender Spike Rush, and that was before we got to the “New New Green Beach” for Toad and Frog Rush! I sought comfort in easier botanicals – Grass of Parnassus, plenty of flowering Dune Helleborines, Common Twayblades and Adder’s Tongue. Thanks for a great afternoon Phil – always a pleasure. 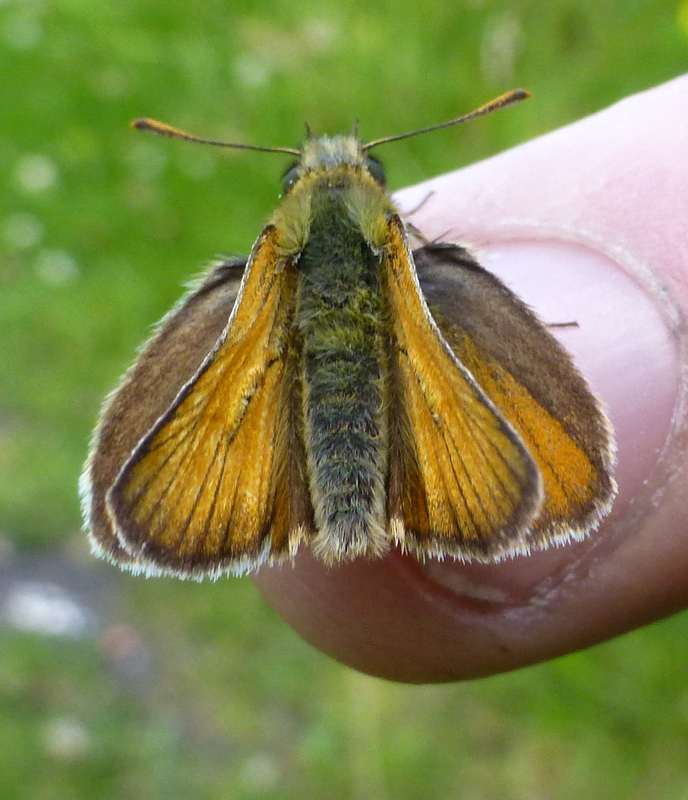 Graylings, Meadow Brown and plenty of Small Skipper on the wing too. Zipped up to Hesketh Road later on, but the shrinking pools were quiet, holding BHGs, Herring Gull, fledged Lapwing, but not a great deal else. Undeniably it is quieter than normal birdwise in the dunes when the temperature soars – scabby looking Mipits, Stonechats, Linnets, Whitethroats and the odd Skylark, but luckily if you keep your eyes to the ground (rather than the skies) there are some gems to be found, even if all things botanical are running a fortnight late this year. 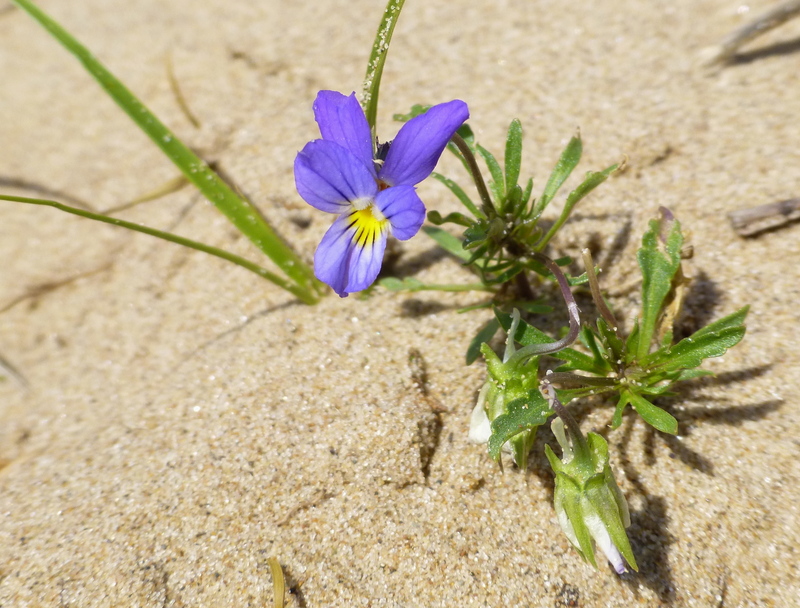 Can’t argue with the curtisii form of Dune Pansy, a superb plant, and my first flowering Dune Helleborines of the year at Ainsdale today. This was lucky as I had a husband and wife team of crack orchid-lovers out on the dunes with me (a pleasure Elinor and Phil), and they’d come especially for Dune Helleborine. A quick search yesterday revealed plenty of plants, but none flowering in favoured spots, so I was relieved to be able to show ’em off today, the flowers opening once the sun had hit ’em a bit. 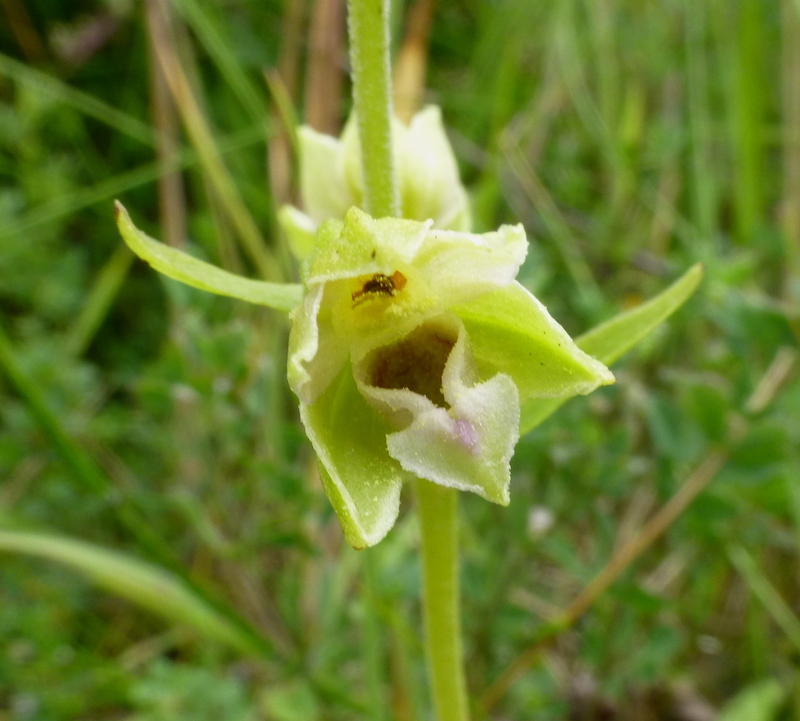 Last year the Dune Helleborines were flowering on July 1st, but like I said, things are running late this year. A good day, if exceptionally hot, with plenty of other botanical stars including Bog Pimpernel, Seaside Centaury, Round Leaved Wintergreen and Grass of Parnassus. 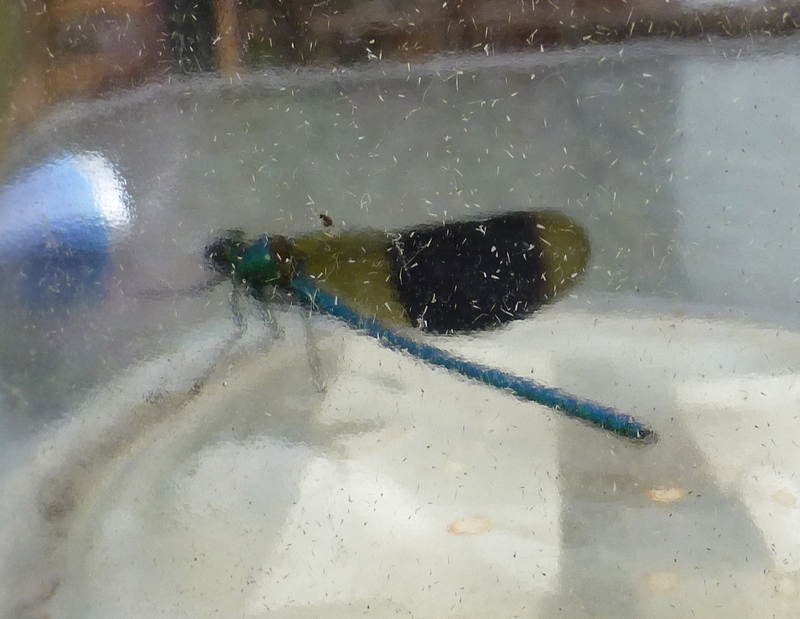 Got home and cracked open a cold one, ambling down to the greenhouse, where I was delighted to find a Banded Demoiselle trapped against a window – garden dragonfly tick! Clearly reports of their range expansion in the area are correct. 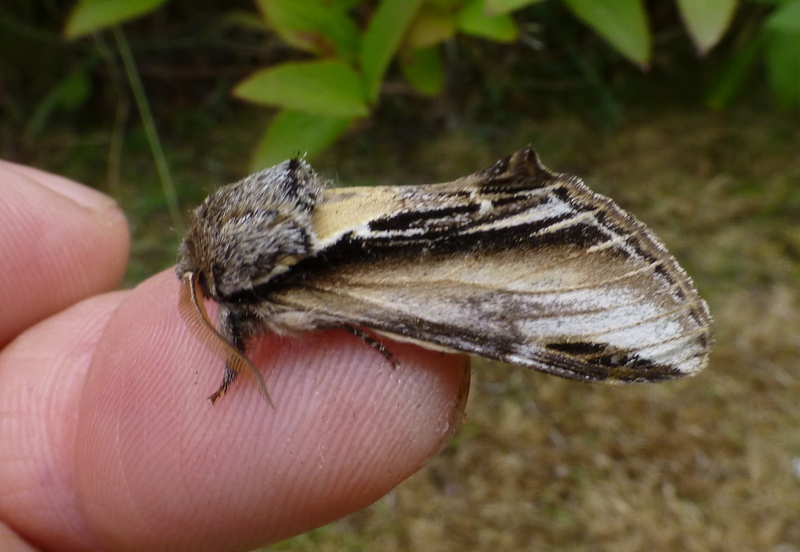 A trap fulla moths this morning kept me engrossed at Dempsey Towers – nothing unusual but more than 130 of the beasties to sift through before release, including faves like Buff Arches, Spectacle and Swallow Prominent. 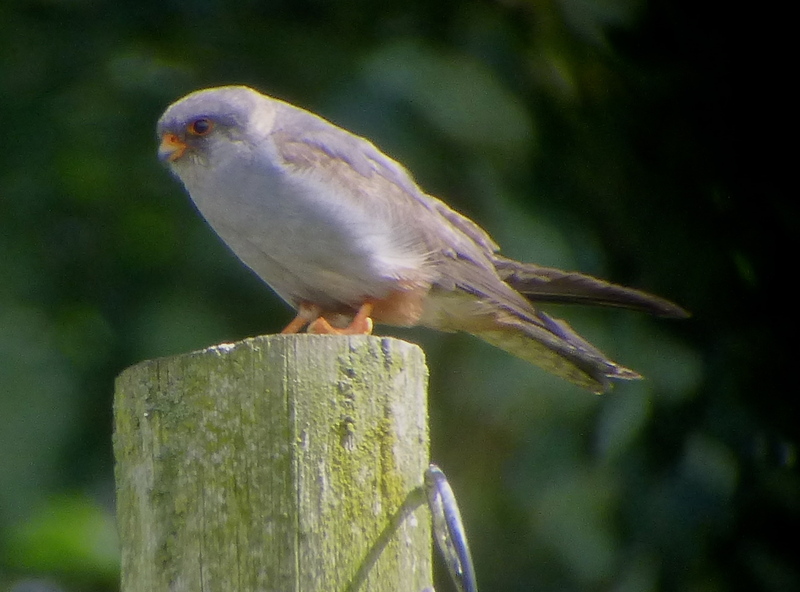 Enjoyed it so much I started getting into the micros – a whole world of pain – and before I knew it, time had flown, meaning I only managed to get out onto Plex for a bit of birding just as the heavens opened. 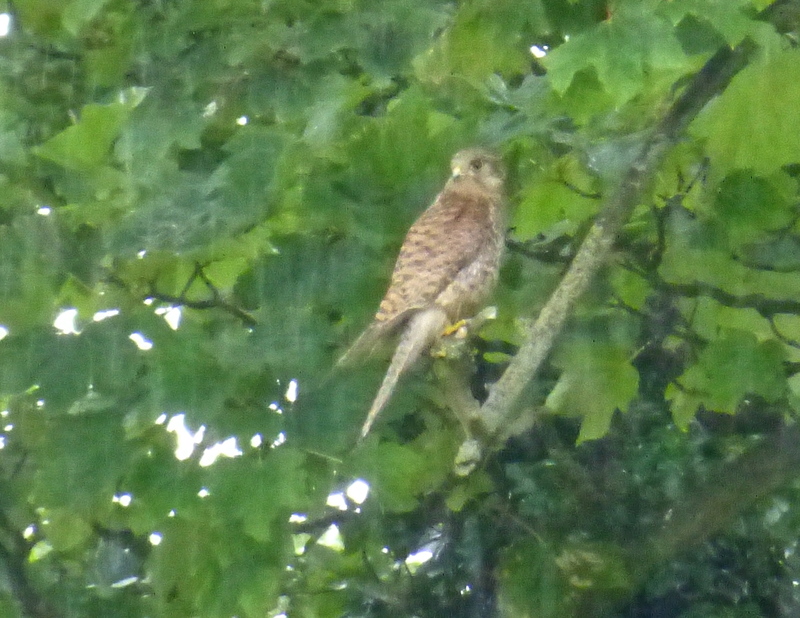 Kestrels sheltered from the deluge and at times the one at the top of the entry was hard to see through the wall of water, although Skylark and Corn Bunting continued singing. Oystercatchers, Lapwings and bedraggled Red Legs were about all I expected (and deserved getting there so late), on the mosses in early July. A Chiffchaff was perfecting the art of monotony with its full song still on Haskayne Cutting. There will be better days. Clearly good numbers of Gannets and Manxies feeding around what I assume was a large shoal of fish not too far out at Ainsdale this morning with LBBs and other gulls, so I pulled an early lunch and ‘scoped ’em for an hour. It was remarkably good fun – at least 80 Gannets of varying ages plunge diving repeatedly, while about 300 Manx Shearwaters skittered about beneath them, crashing into the water after the fish, or chilling in post-scoffing rafts. 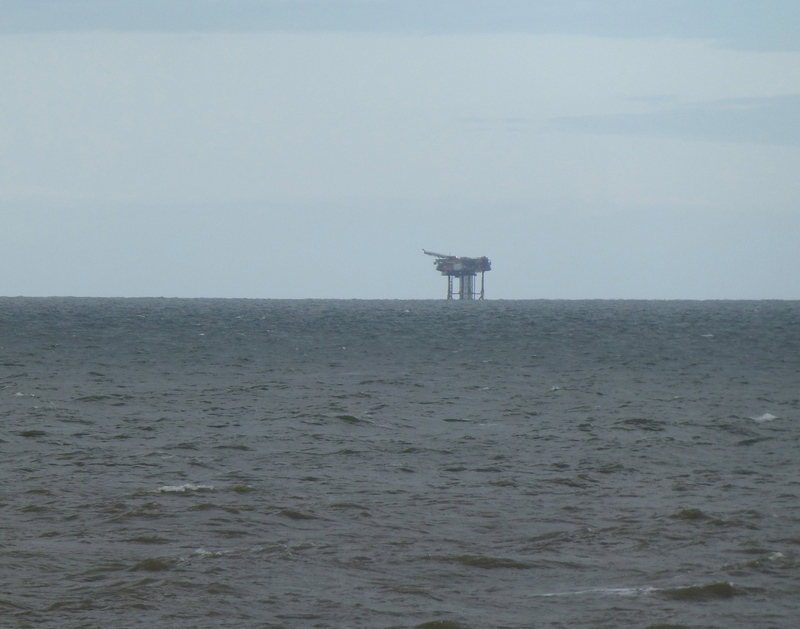 Wonderful to see so many seabirds off Ainsdale again. While ‘scoping the Manxies, what appeared to be a demented bat tazzed through – much much smaller as it hared around the feeding party before disappearing…looked like a Storm Petrel to me, but it was long range and unfortunately didn’t return in the hour I spent with the feeding frenzy. A single Little Tern came through closer in though, which made a change from the regular Sandwich and Common Terns, and Common Scoter numbers, while still low, are clearly increasing as birds start to arrive back in Liverpool Bay – failed/non-breeders presumably? Four RB Mergs were a surprise too. Impossible to put an accurate count on the Manxies and Gannets as they were constantly wheeling about, but I enjoyed it so much, I’ve organised a short notice emergency (!) 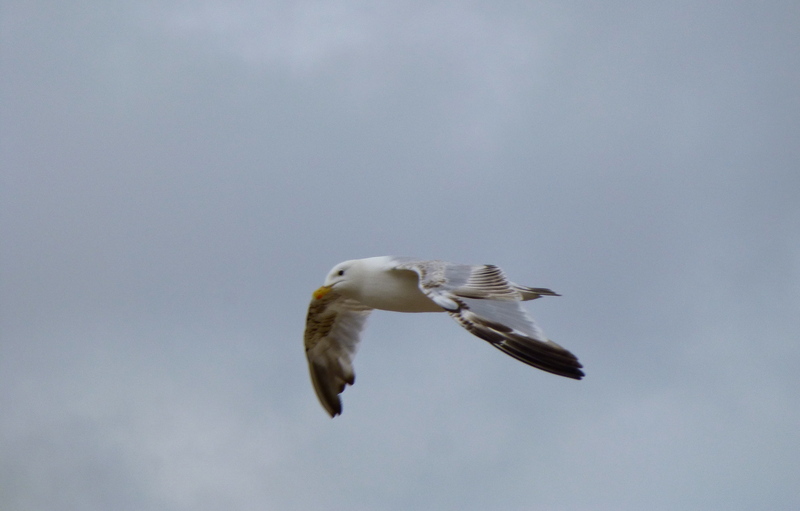 lunchtime seawatch from Ainsdale tomorrow over the high tide – meet at 1230 at the Ainsdale Discovery Centre if you fancy it, although such impulsive behaviour is probably a guarantee the bay will empty overnight. While we’re on the subject of links, this National Geographic piece is interesting too….